The office used to be the previous owner’s nursery. It was gross with the two-toned paint and giant wall stickers. Plus, it was dark and the corner closet fit a max of 5 jackets. Filigree shelving and fake plants that I don’t have to water from my favourite and affordable decor retailer, HomeSense. Go there for unique pieces, and they change up the selection often. The little tile with the yellow tram is from Cy and I’s trip to Lisbon. 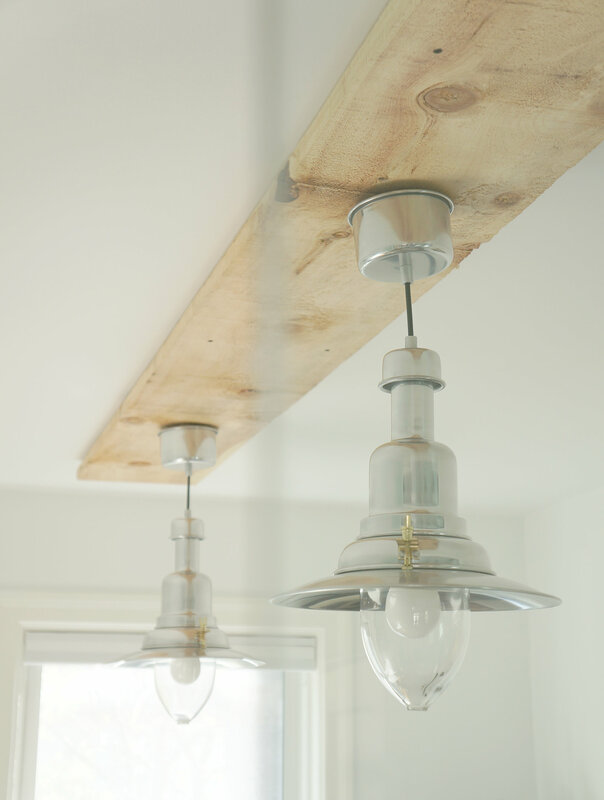 One wood plank and two IKEA pendant lanterns made up this floating light fixture. All Cy did was split the electrical and built a frame on the ceiling to mount and support the weight of it. From top-bottom, left-right: My fall cottage painting (just kidding, it’s from HomeSense). Cy’s floor light and black Yahama SBG 1500 and a “rug.” It’s not actually a rug, but a faux fur from Fabricland to add texture and shape to the office. The idea was to source creatively and keep all pieces affordable – except the glass wall. 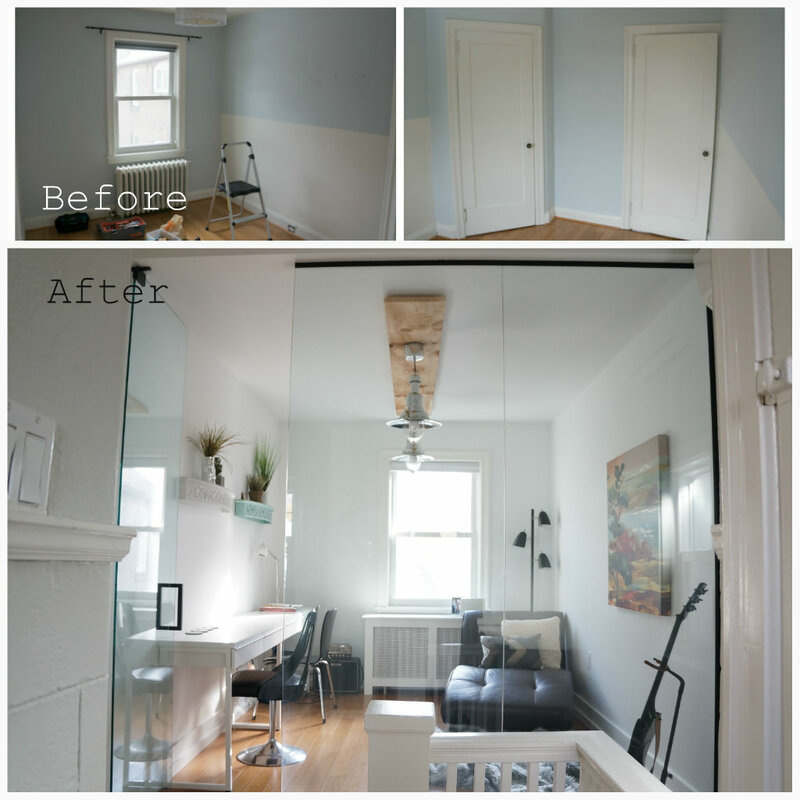 The glass wall/door and install was 2/3rds of the budget. But, it’s worth it for all the light it brings into the house on the 2nd floor and down the stairs! Total cost: 1/3rd of what a contractor would have charged.It helps to have Cy act as drywaller, framer, electrician, floor installer, and painter (and I helped a bit too).